Ahhh sleep. It almost feels magical how a few good nights of sleep makes just about everything better. 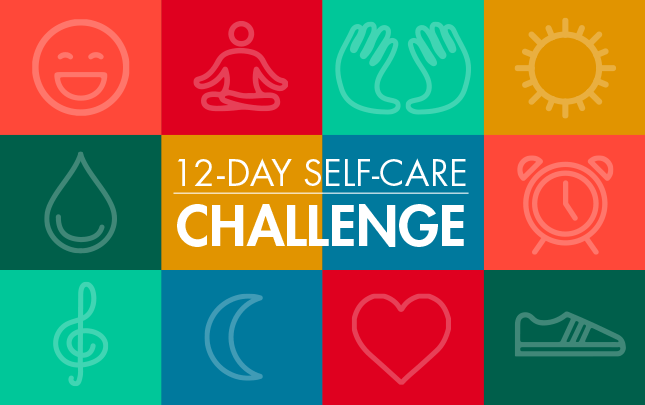 Whether you’re stressed or anxious or feeling sick or run down, when you drift off easily and log around eight hours, it gives your body ample time and opportunity to repair and rejuvenate itself. On the other hand, poor sleep and short nights trigger inflammation and other changes to your immunity and other systems that have far-reaching consequences, including an increased risk for heart disease and obesity. Not to mention, when you’re underslept you just feel crummy. Unfortunately, knowing how important sleep is doesn’t necessarily translate to getting enough of it — for reasons both easy and hard to identify and control. Aging, for instance, is a sleep disruptor we can’t change. Production of the sleep-bringing hormone tends to naturally decrease with age, and hormonal changes that come with menopause can upset sleep. Too often, however, we have only ourselves to blame. One key and highly common sleep-stealing factor — and something we all do at least three times a day and have 100% control over — is eating the wrong foods. The good news: Getting your diet right could make all the difference in both quality and quantity of sleep. 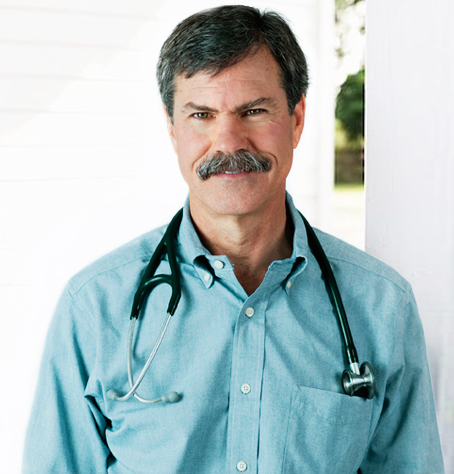 One of the most significant and common ways foods impact sleep is through the gut flora they feed, says Bill Rawls, M.D., medical director of Vital Plan. “Your gut microbes have a really sophisticated mechanism of communicating through neurotransmitters and other chemical messengers,” Dr. Rawls says. Some of those messengers include chemicals that help you relax and induce and maintain normal sleep, like GABA, melatonin, serotonin, and glutamate. Microbes in your gut also directly help maintain normal circadian rhythms. 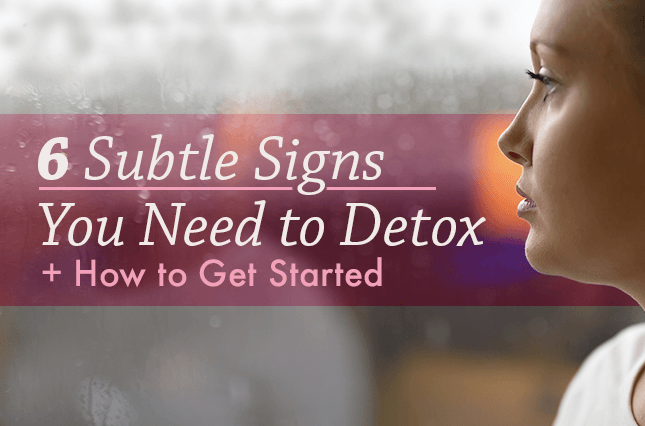 “But when you dump a bunch of bad food in your system, it generates inflammation and selects out microbes that produce different neurotransmitters that working against you by agitating the brain,” Dr. Rawls explains. Research has indeed shown the link between a poor diet and sleep trouble. For example, Japanese workers who reported eating a high amount of sweets and noodles and few veggies reported poorer quality sleep, according a study in the Journal of Occupational Health. Other research likewise reports that those who guzzle a lot of sugary drinks tend to sleep worse and less restoratively. 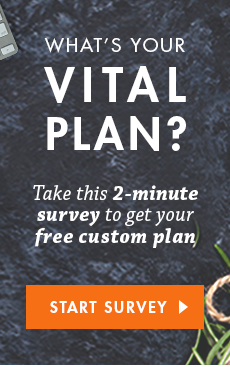 Now that you know what not to eat, you probably have a general sense of what to fill your plate with instead: “A better diet includes a lot of fruits and vegetables and less meat, sugar, wheat, and other processed carbohydrates because you’ll have less agitation in the brain,” Dr. Rawls says. Those foods not only are high in antioxidants that keep inflammation in check, they encourage the healthy production of your body’s natural muscle relaxants and sleeping aids. A Mediterranean diet, for example, which includes a lot of fresh vegetables, olive oil, and fish, and fewer grains and red meat options, has been linked with better sleep quality and less risk of insomnia. It’s also smart to load your meals with a variety of different fresh foods. Doing so ensures you feed cells a range of good-for-you nutrients. One paper found that healthy sleep duration was more common in people who ate the most variety. While a generally healthy way of eating is the first step to healthy snoozing, there are some all-star eats that research suggests can be especially beneficial. Here’s what to try. Many foods contain a little bit of natural melatonin, but tart cherries are one of the better sources, Dr. Rawls says. Your body naturally releases melatonin in the evening as part of what’s called sleep pressure — the change of chemical “tides” in your body: Relaxing, sleep-inducing hormones and chemicals begin to increase, while stimulating hormones and neurotransmitters subside. The research on tart cherry is convincing. 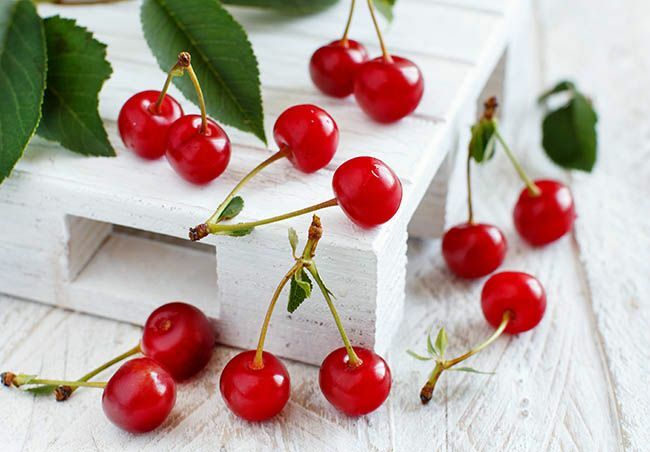 One study in older adults with insomnia found that those who drank 8 ounces of tart cherry juice twice a day slept more than an hour longer per night than when they got a placebo juice. Other trials have found the juice boosts melatonin levels and improves the quality of sleep, plus reduces the time spent awake after a middle-of-the-night awakening for those with insomnia. While tart cherries can be delicious on their own, you’d have to eat much more than a bowlful to get the same amount of melatonin found in juice or concentrated products like a gel, so for best results, stick with the latter. (On labels, the juice is sometimes called “Montmorency cherry.”) Just be sure when choosing a gel or juice to look for varieties that are 100 percent cherry juice and contain no added sweeteners or “filler juice” like apple. Salmon is swimming in omega-3 fatty acids, which acts as sort of a kryptonite to inflammation in your body. It works by balancing levels of pro-inflammatory omega-6 fatty acids — the kind you get in spades from fried foods and processed carbs. One study of people at a sleep clinic being tested for sleep apnea, for example, found that those with higher levels of DHA — a particular type of omega-3s found mainly in salmon — were less likely to have severe sleep apnea. (Sleep apnea is a condition that blocks airflow while you snooze, causing you to wake frequently and not get adequate deep sleep.) In fact, even a small increase in DHA levels predicted a 50 percent reduction in risk for sleep apnea. Salmon’s vitamin D content may also help you get ample Zzs. 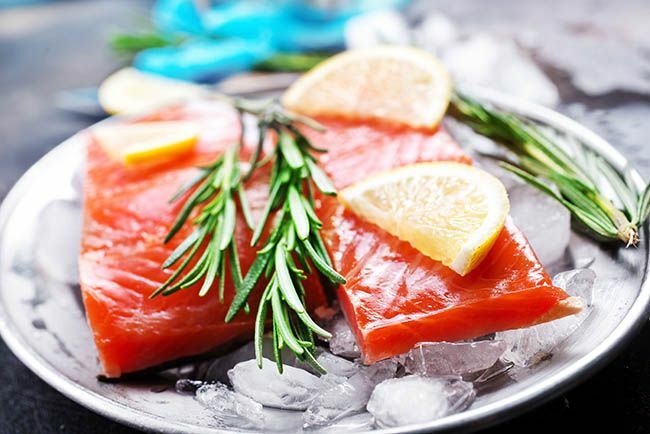 Another trial of 95 men found that when one group ate fatty fish like salmon three times a week for six months, they saw increases in their vitamin D levels and fell asleep faster and got better-quality sleep compared to the control group, which ate chicken, pork, and beef. There are multiple ways researchers think vitamin D influences sleep, one of which may be how D helps your body absorb calcium, which strengthens bones, potentially helping reduce sleep-disrupting pain, according to a paper in Sleep Medicine Reviews. Be sure to choose wild salmon versus farmed, as it contains higher levels of nutrients and fewer contaminants and toxins. It doesn’t matter, however, whether it’s fresh or canned, Dr. Rawls says. If price is an issue, the latter can be more affordable and help you quickly whip together a healthy meal. 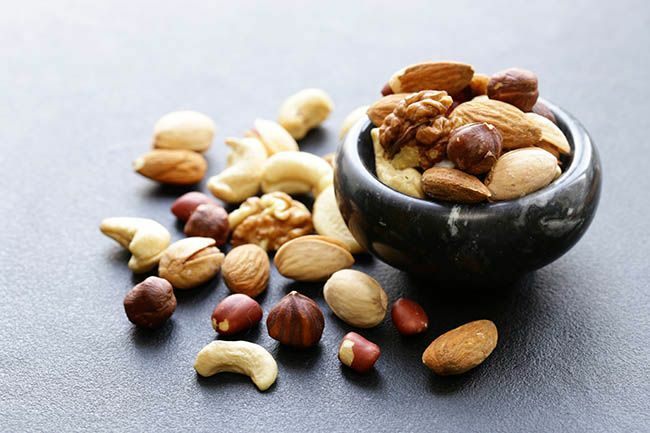 Almonds, peanuts, cashews, pistachios, and others are all rich in anti-inflammatory antioxidants as well as magnesium, a key nutrient that research has linked with sleep. Minerals, including magnesium, serve as cofactors for enzymes — meaning they act as a catalyst for the catalyst (enzymes) that make things in our body happen, Dr. Rawls says. “Calcium and magnesium are very closely related, except your body uses calcium as an activator for cellular processes while magnesium is a deactivator,” Dr. Rawls explains. In other words, magnesium helps your body release and relax. Magnesium has also been found to play a role in cellular timekeeping, helping you maintain circadian rhythms, which you need for a good night’s sleep. One recent study in the journal Nutrients, for example, found that women who got the most magnesium through their diet were the least likely to report falling asleep during the day, indicating a healthy circadian rhythm and good night’s sleep. What’s more, nuts’ antioxidant activity may benefit sleep by fighting inflammation in the brain specifically. A recent study from Loma Linda University found that regularly eating nuts enhances brain wave activity in ways that help promote quality rest, including gamma wave, which is associated with rapid eye movement (REM sleep), and delta wave, which occurs during deep sleep. No matter which nuts you eat, stick to the whole nut or raw nut butters and minimize your intake of nut oils, which tend to be high in omega-6s, especially when heated to high temperatures or used for frying. Snack on a handful, or try sprinkling nuts on salads, adding them to smoothies, sauces, and stir fries, or using crushed nuts for breading fish or chicken. Eating two kiwifruits one hour before bed for four weeks helped subjects sleep better, according to a study published in the Asia Pacific Journal of Clinical Nutrition. These green or gold fruits pack a lot of nutrition into their small, fuzzy packages, which likely helps explain their benefit. First, kiwis are, ounce-for-ounce, one of the most nutritious foods available. They’re off the charts in a number of vitamins and other nutrients, including antioxidants like vitamins C and E. They’re also rich in folate, which may help prevent insomnia and restless leg syndrome as low levels of folate have been associated with both. And kiwis contain natural serotonin, another neurotransmitter our bodies make that’s involved in helping us wind down, relax, and drift off. 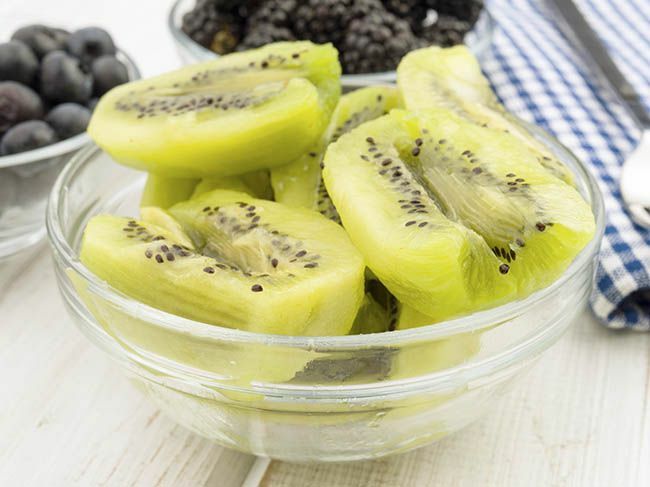 Although most people peel kiwis’ fuzzy outer skin, it’s edible, and it packs tons of fiber, which helps feed the healthy microbes in your gut. The sweetness of the fruit masks most of the skin’s earthy flavor, but if the taste doesn’t appeal to you, try masking it by tossing a whole, unpeeled kiwi into your smoothies. 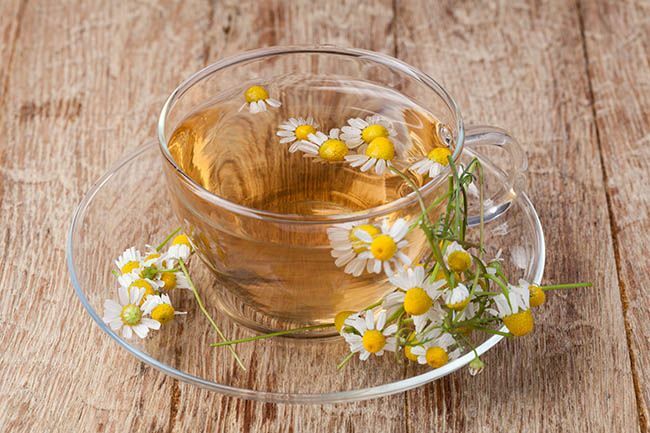 Chamomile, valerian, passion flower, and mugwort are a few herbs commonly found in “sleep teas” that are known for their sedative properties. 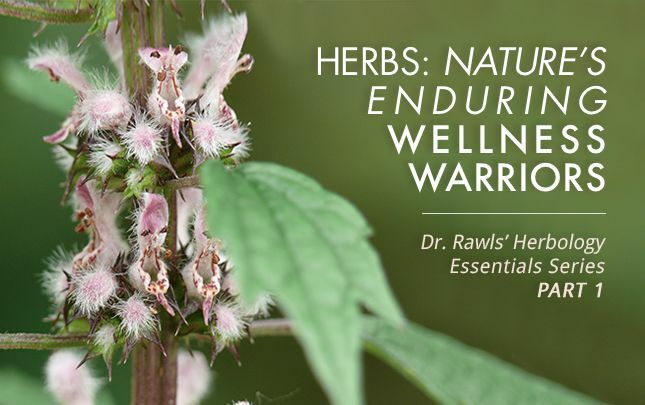 They can all help to varying degrees, says Dr. Rawls, but note that it might take a little trial and error to discover which herbs work best for you. For instance, in some people, chamomile and valerian can be stimulating, he explains. And mugwort is known to produce vivid dreams. Passion flower, meanwhile, often gets overshadowed by chamomile, but it’s highly effective on its own. People who drank passion flower tea said they experienced enhanced sleep quality after a week compared to when they drank a placebo tea, reports a study in the journal Phytotherapy Research. Other research on the herb when taken as an extract confirms its calming and sedative benefits. The other way tea helps with slumber is that it’s warm and soothing. There’s the psychological effects of a steamy cup of tea — it’s long been associated in our society with calmness and relaxation. Plus, the act of drinking hot tea can have a physical effect that promotes sleep: To sleep, your body temperature has to drop, so drinking something warm may cause blood vessels to dilate and help your body throw off heat quickly, Dr. Rawls says. A banana makes a perfect bedtime snack. Not only is it filling and easy to digest, it delivers a slew of sleep-promoting nutrients. 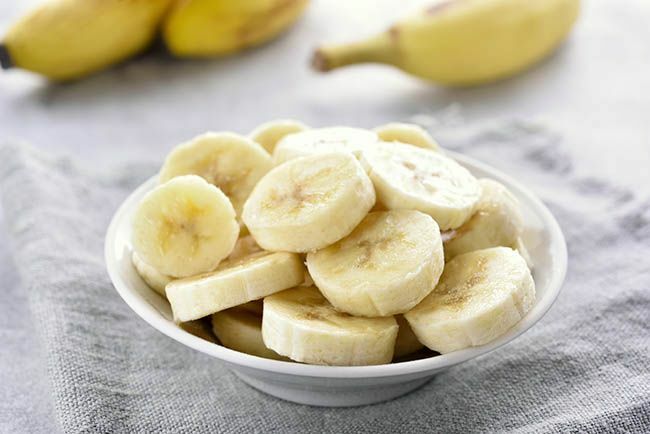 For starters, bananas are rich in fructans, a type of carbohydrate that acts as a prebiotic — it feeds the good bacteria in your gut. You’ll get the most bang for your bite out of fructans by eating them raw, as heat can cause them to break down. Luckily, unlike other high-fructan foods that you generally cook, like onions and artichokes, bananas are tasty as is. 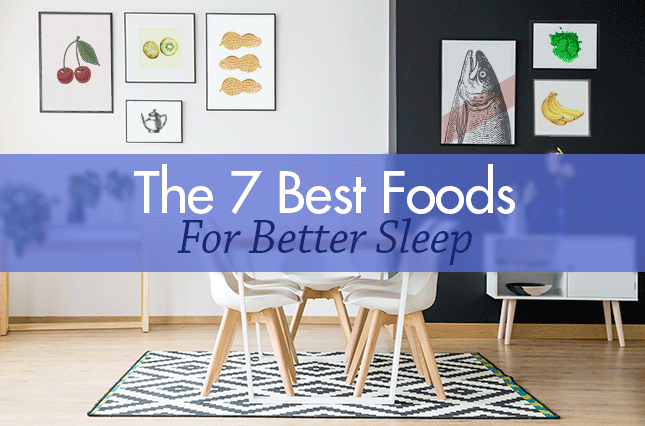 They also contain a trifecta of sleep-promoting micronutrients. The first, tryptophan, is the amino acid found in turkey that’s often blamed for post-Thanksgiving-meal sleepies. In that case, though, dozing off is more likely the result of an overfull belly and feeling relaxed, Dr. Rawls says. (And, chances are you won’t sleep well as your body churns away trying to digest all that food.) But tryptophan does play a key role in sleep; your body needs it to produce serotonin, a brain chemical that promotes healthy sleep. The other two micronutrients in the trifecta: potassium and magnesium. If you’re low on potassium, you’re more likely to experience sleep-disturbing muscle cramps. And magnesium is a natural muscle-relaxer — another way to fend off those painful middle-of-the-night charley horses. As nutritional all-stars, spinach and kale provide plenty of key nutrients for healthy sleep. Most notable, though, is fiber, which ensures the good bacteria in your gut can flourish and your GI system can readily eliminate the pathogenic bacteria that produce stimulating neurotransmitters. Also important is the iron in leafy greens. Researchers have known for a while that low iron can contribute to sleep issues in infants, but now scientists are starting to study the effects on adult sleep. For example, lower iron intake was linked with very short sleep duration (less than 5 hours), even after controlling for overall diet, according to recent observational research on dietary patterns. Low levels of the mineral have also been associated with restless legs syndrome, a condition that can cause discomfort in the legs, especially at night when it can mess with your Zs. 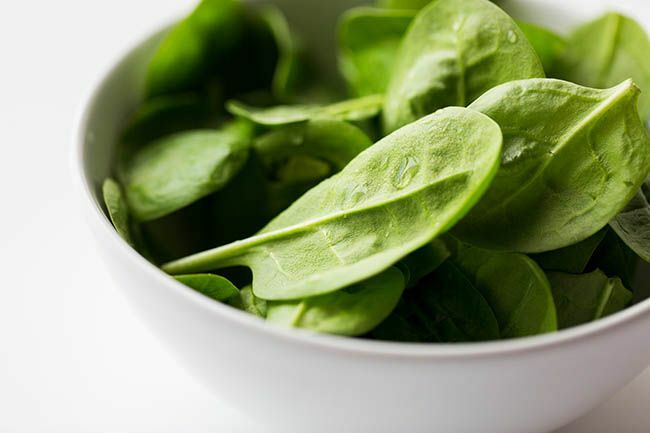 When loading up on leafy greens, be sure to eat them with foods rich in vitamin C, which help your body absorb non-heme iron, the type found in plants. 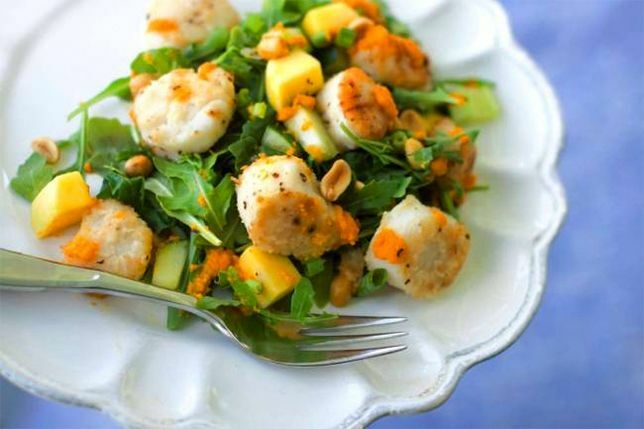 A few ideas for pairing iron and C: Massage kale with lemon juice and olive oil for a simple side dish, add vitamin C-rich red bell peppers to a spinach salad, or toss a kiwi into your green smoothie. What you eat and how you sleep are inextricably linked, and both play starring roles in your overall health. But sleep is a complicated process and multiple lifestyle factors can contribute, including physical activity, stress management, and your environment. So, along with paying attention to how and the foods you eat, be sure to also consider other factors for healthy nights — and days. 1. Katagiri, R. et. al. “Low intake of vegetables, high intake of confectionary, and unhealthy eating habits are associated with poor sleep quality among middle-aged female Japanese workers.” Journal of Occupational Health. 2014;56(5):359-68. 2. Grandner, Michael A. et al. “Dietary nutrients associated with short and long sleep duration. Data from a nationally representative sample.” Appetite. 2013 May; 64: 71-80. 3. Liu AG, et al. “Tart cherry juice increases sleep time in older adults with insomnia.” Experimental Biology. San Diego, CA. April 28, 2014. 4. Pigeon WR, et al. “Effects of a tart cherry juice beverage on the sleep of older adults with insomnia: A pilot study.” Journal of Medicinal Food. 2010;13:579-583. 5. Howatson G, et al. “Effect of tart cherry juice (Prunus cerasus) on melatonin levels and enhanced sleep quality.” European Journal of Nutrition. 2012;51:909-916. 7. Scorza, Fulvio A. et al. “Sleep Apnea and Inflammation – Getting a Good Night’s Sleep with Omega-3 Supplementation.” Frontiers in Neurology. 2013; 4: 193. 8. Hansen, Anita L. et al. “Fish Consumption, Sleep, Daily Functioning, and Heart Rate Variability.” Journal of Clinical Sleep Medicine. 2014 May 15; 10(5): 567–575. 9. McCarty, DE et al. “The link between vitamin D metabolism and sleep medicine.” Sleep Medicine Reviews. 2014 Aug;18(4):311-9. 10. Cao, Yingting et al. “Magnesium Intake and Sleep Disorder Symptoms: Findings from the Jiangsu Nutrition Study of Chinese Adults at Five-Year Follow-Up” Nutrients. 2018 Oct; 10(10): 1354. 11. Feeney K.A., et al. “Daily magnesium fluxes regulate cellular timekeeping and energy balance.” Nature. 2016;532:375–379. 12. Berk, Lee et al. “Nuts and Brain Health: Nuts Increase EEG Power Spectral Density (μV&[sup2]) for Delta Frequency (1–3Hz) and Gamma Frequency (31–40 Hz) Associated with Deep Meditation, Empathy, Healing, as well as Neural Synchronization, Enhanced Cognitive Processing, Recall, and Memory All Beneficial For Brain Health.” FASEB Journal. 2017, April. 31:1 supplement. 13. St-Onge, Marie-Pierre et al. “Effects of Diet on Sleep Quality.” Advances in Nutrition. 2016 Sep; 7(5): 938–949. 14. Ngan, A and Conduit, R. “A double-blind, placebo-controlled investigation of the effects of Passiflora incarnata (passionflower) herbal tea on subjective sleep quality.” Phytotherapy Research. 2011 Aug;25(8):1153-9. 15. Aslanargun, P. et al. “Passiflora incarnata Linneaus as an anxiolytic before spinal anesthesia.” Journal of Anesthesia. 2012 Feb;26(1):39-44. 16. Richard, Dawn M et. al. “L-Tryptophan: Basic Metabolic Functions, Behavioral Research and Therapeutic Indications.” International Journal of Tryptophan Research. 2009; 2: 45–60. 17. Portas, CM et al. “Serotonin and the sleep/wake cycle: special emphasis on microdialysis studies.” Progress in Neurobiology. 2000 Jan;60(1):13-35. 18. Ji, Xiaopeng et al. “The relationship between micronutrient status and sleep patterns: a systematic review.” Public Health Nutrition. 2017 March; 20(4): 687-701. 19. Daubian-Nosé, Paulo et al. “Sleep disorders: A review of the interface between restless legs syndrome and iron metabolism.” Sleep Science. 2014 Dec; 7(4): 234–237.